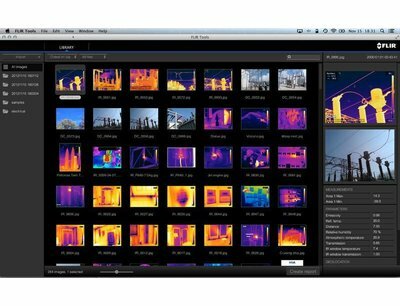 FLIR is committed to enable all users of our infrared camera systems to work more efficiently and productively by providing them with the most professional camera-software combination. Whether your application is related to predictive maintenance, research & development or machine vision, a dedicated software package is available. 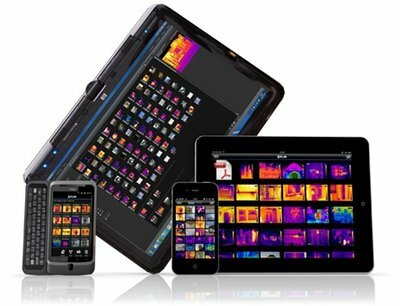 FLIR Tools Mobile lets you stream live video to your mobile device from compatible FLIR E-series* and FLIR T-series infrared cameras, allowing you to monitor from a distance and show others what the camera is seeing as it happens. 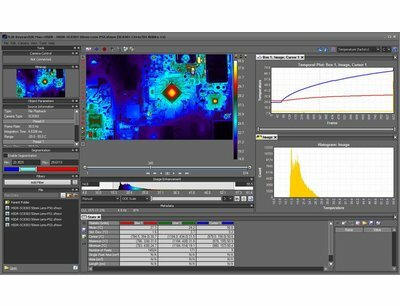 A powerful and easy-to-use thermal analysis software for camera system command and control, high speed data recording, real-time or playback analysis, and reporting.